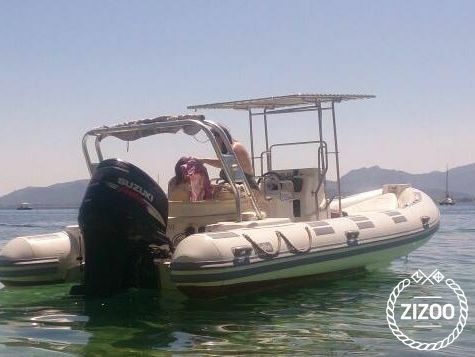 This comfortable and spacious motorboat is an excellent yacht charter for your next visit to the Balearic Islands. It is a fast and agile vessel, that is also easy to handle, making it ideal for skippers of all skill levels. It is a great yacht charter option for visiting Formentor Beach or Mallorca. It also comes with a canopy to relax in the shade and a solarium to relax and soak up the sun. It is ideal for snorkeling, swimming, island hopping, or beach exploration. It is the perfect yacht charter for your next holiday in Spain.